Summer is a time of family, friends, and relaxing in the sun. And a summer picnic is the quintessential summertime event. When planning a summertime wedding, picnics can be anything you want them to be. Outdoor locations are a blank canvas allowing you to create the exact look you want. The key is to set your imagination free and prepare, prepare, prepare. You’ll have to bring in everything from decorations and tables to seating or blankets for your guests. Luckily, nature is your setting so not much is needed in the way of decor so you can focus on just a few “wow” worthy pieces. For our picnic-themed wedding, we went for an oversized, brightly-patterned textile to use as the perfect picnic blanket. 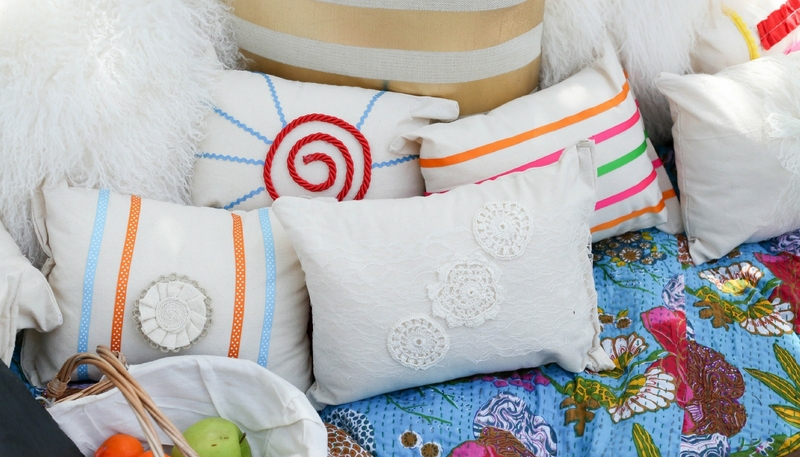 To make sure our guests are comfy, a pile of DIY Picnic Pillows does just the trick. 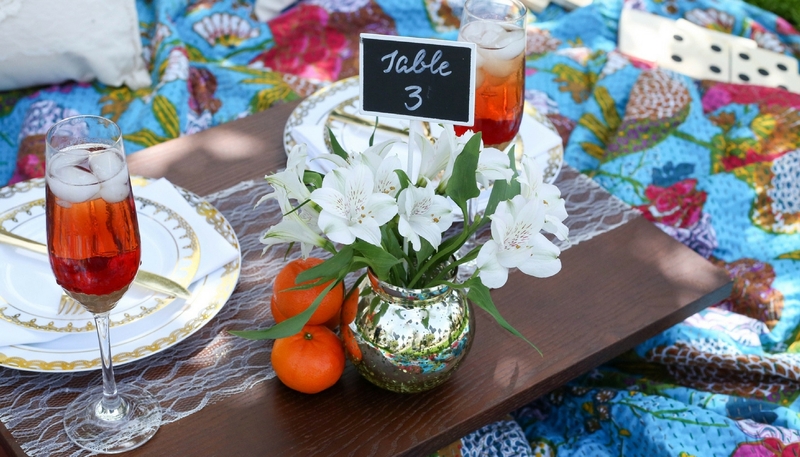 DIY Low Wood Tables allow you to dazzle guests with a gorgeous place setting and give them a place to set their drinks. 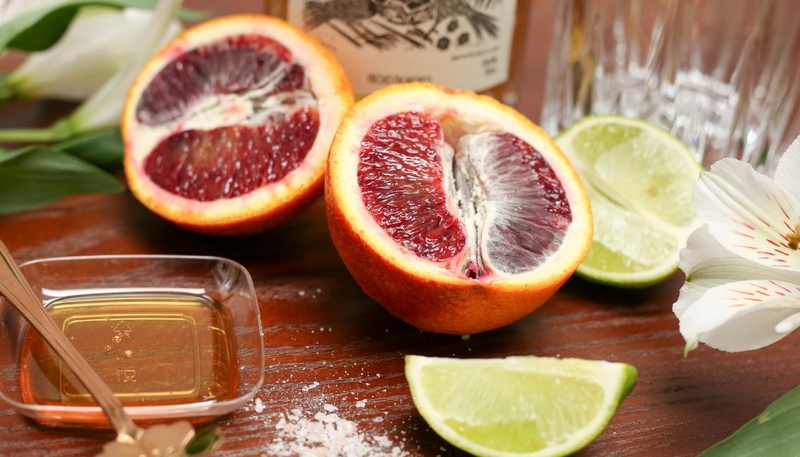 Fill their glasses with a yummy summer cocktail like a Blood Orange and Honey Paloma. Don’t forget entertainment! 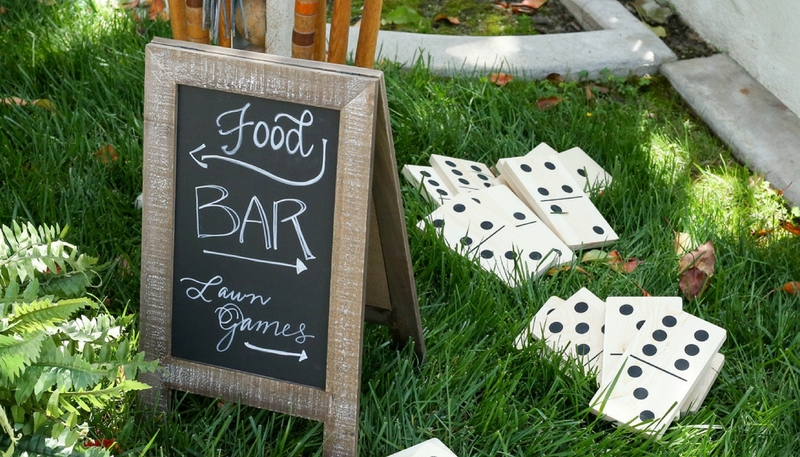 An assortment of lawn games keeps the mood lighthearted and fun. When you add in your own personal touches, these ideas will be sure to give you and your guests a day you’ll never forget.